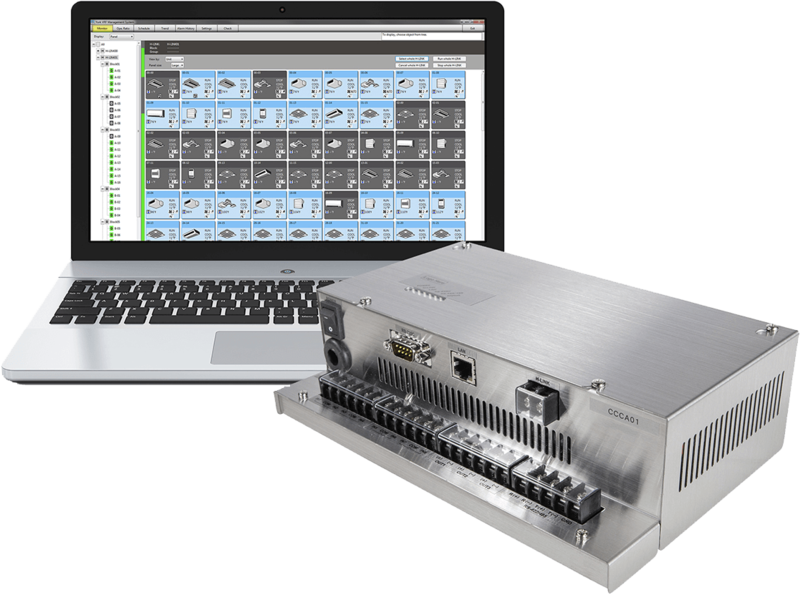 The Web-enabled Central Controller is a web-based interface to control and monitor VRF systems with up to five (5) local or remote Windows based PCs and/or tablets. Built-in software for easy access with no need for an optical drive for installation. Advanced multi-zone control of large commercial projects. Block and Group Control for scheduling, mode, set point, prohibit RC functions. Connect up to 8 Large (CCL01) and/or Mini (CCMO1) Central Controllers simultaneously in the same H-LINK II segment. Total combination of 200 Refrigerant Systems and IDUs.